Synopsis (from Amazon): Samantha Rousseau is used to getting her hands dirty. Working on a master's degree in wildlife biology while helping take care of her sick father, she has no time for celebrity gossip, designer clothes, or lazy vacations. So when a duchess from the small country of Lilaria invites her to dinner, Samantha assumes it's to discuss a donation for the program. The truth will change the course of her life in ways she never dreamed . 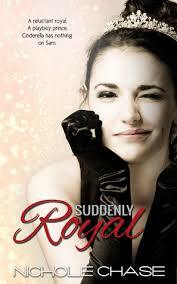 . .
One (or more) Sentence Summary: Suddenly Royal was a good and clean book. It was a cute story that was pretty predictable. If you are like me...anything "royal" is a good read. Would I Read Other Books by the Author: I already have Reckless Royal on my TBR list!